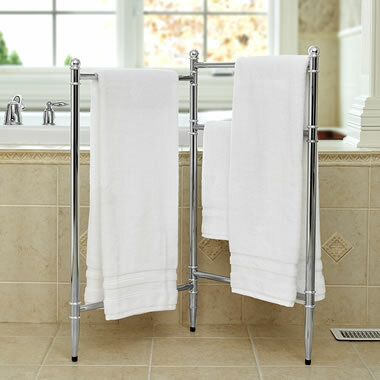 Available only from Hammacher Schlemmer, this is the folding towel rack that collapses to a slim 2" wide for convenient storage. When extended, the nearly 3' high rack provides generous drying space for towels and hand-washable items, and provides convenience after a shower or a dip in the pool. Constructed of sturdy, precision-tuned steel for years of reliable use, with fluted tubes and shapely finials. 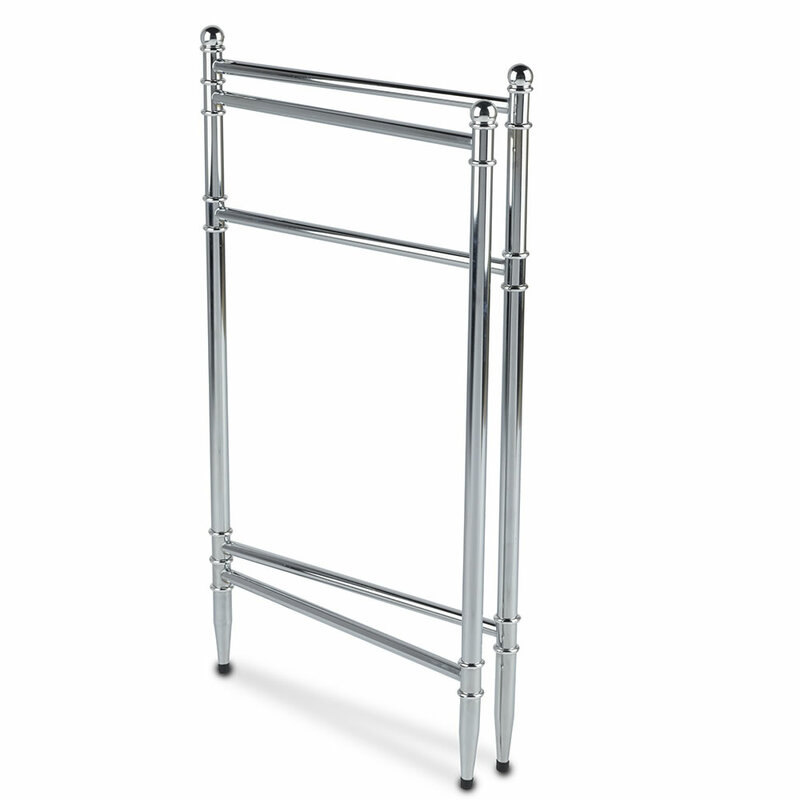 35" H x 39" W x 19 3/4" D.
The Supplementary Instant Towel Rack comes with The Hammacher Schlemmer Lifetime Guarantee. Items that we sell are guaranteed for their normal life under standard non-commercial use.